Home remodeling involves a long list of tasks, from drawing up plans to choosing a home renovation contractor. One important task, however, is easy to overlook: Making sure that the insurance on your home is updated along with your home. If you didn’t include your insurance agent in the planning phase, talk to them as early in the process as possible. Your homeowners insurance is based on very specific information about your house. Making changes to how your home is used or altering its structure can cause changes in your policy’s coverage. Not only do you want to find out about the potential effects on liability issues, you also don’t want to miss out on lower premiums that may result from renovations. 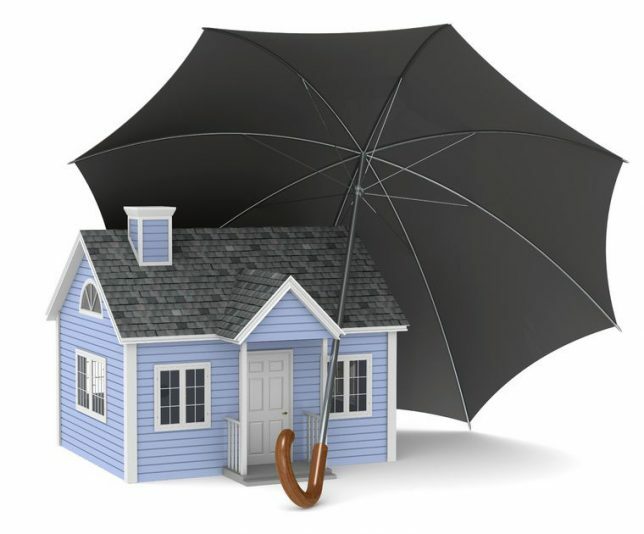 Ultimately, you want to verify that you have adequate coverage on your home and its contents. Adding a home office: Installing some built-in shelving and a coat of paint to a room you’re now going to use as an office is unlikely to have any affect on your homeowners insurance. If, however, you’re starting a home-based business that requires special equipment and/or opens your home to customers in some way (for piano lessons, for instance), talk to your insurance carrier. Find out if there’s a limit on coverage for machinery or inventory, or ask if you need a new policy for protection against being sued by a customer. Increasing your living space: This can be in the form of a new room addition or finishing out a space with a basement remodel or attic remodel. The main reason to update your insurance when adding living space is protection against catastrophic loss, and you’ll want to do this before your renovations begins. Let’s say that you’re in the midst of adding a new master suite to your house and a tornado destroys your half-finished project — if you’ve updated your insurance, it’s covered. You should also find out about different types of insurance coverage for different home remodeling projects. A basement renovation may mean that new coverage is needed in case of water problems, for instance. And if zoning allows you to put tenants in a newly remodeled space, look into landlord policies. Your roof is one of the largest aspects of your insurance coverage, because it often takes the brunt of damage from wind and precipitation. Many policies include depreciation based on your roof’s age, with coverage reducing over time. If you’re putting on a new roof, though, you may be eligible for discounts on your premiums from your insurance carrier, who will likely need documentation from your roofing contractor that states the new roof meets with the most strict codes. Kitchen renovations: Since kitchen renovations can carry such a high price tag, you’ll want to make sure that your coverage is sufficient to replace your new kitchen in case of disaster. Your premiums may rise when you add coverage for the new value of your home, but not keeping your policy up to date could cost much more. Adding a swimming pool: There’s no getting around the fact that adding a pool adds risk, but adequate coverage is an absolute must. Check with your insurer on the recommended amount of personal liability protection that will cover an injured person’s medical costs and legal expenses in the case of a lawsuit. Also ask what the carrier’s requirements are for fencing, slides, diving boards and other features associated with new swimming pools. Lastly, update your policy to cover any value the pool adds to your home. Put your home renovation on a solid foundation with Contractor Connection. Just as updated insurance means peace of mind, so does hiring your home remodeling contractor through Contractor Connection. Because our network of contractors has been verified to meet stringent requirements (including the tough standards of the insurance companies we work with), you’ll know that the contractor we match you with is fully qualified, licensed and insured. If you’re ready to hire a home remodeling contractor, Contractor Connection is ready to help. Simply enter your ZIP code at the top of the page to get started.